Posted on July 16, 2018 by ngfmarketing. There are a lot of benefits to having your car windows tinted. A high-quality window tint can prevent harmful UV rays from causing your interior to fade prematurely, help keep heat out of your car during the summers, increase your privacy, and — last, but not least — help improve the overall appearance of your car. When it comes to applying window tint, it may not seem like that difficult of a job. Although window tint is a great way to improve the privacy of your vehicle, you can only tint your windows so much. It’s illegal for your windows to be tinted past a certain point. This is because it poses a potential danger to law enforcement officers if they ever pull you over since they won’t’ be able to see inside. A professional will be familiar with local regulations regarding window tinting and will make sure that you will remain compliant. Adding film across your windows is actually a lot harder than you might think, especially since if you do it yourself, odds are that film won’t be pre-cut to fit the specific dimensions of your windows. You’re likely going to end up with a lot of creases and wrinkles in the film, especially if you’ve never applied tint to car windows before. You won’t be able to just smoothe it out either – you’ll have to remove it and try again — and removing tint from your windows is much harder than applying it. The Proper application will not only prevent visual flaws, such as wrinkles and creases, from covering your windows, but it will ensure that the film will remain adhered to your windows. An improper application could result in the film peeling over time. Having to replace your window tint because you didn’t apply it properly or because it’s too dark to be legal is going to cost you more money. By simply having the tint applied correctly and in accordance to state regulations by a professional, you’re bound to save money long-term. As you can see, it’s simply not smart to attempt to apply tint to your car’s windows on your own. The only real reason to attempt a DIY job is to save money, and generally speaking, doing it yourself is a good way not to save money in the long-term. Here at Z-One, we use high-quality 3M Automotive Window Film. We’ll make sure that it’s properly applied so no wrinkles, bubbles or peeling will occur. Additionally, we use a precision-guided computer cutting system that allows us to custom cut the film specifically for your vehicle. This means that you will get an exact tint and an accurate fit the first time around. We even provide a warranty for our work in the rare case that peeling or bubbling does occur. You can greatly benefit from tinting your car windows, whether it’s by improving the car’s appearance, improving its comfort or helping to preserve your interior. However, it’s important that the tint is properly applied. To ensure this, work with a professional instead of attempting to do it yourself. 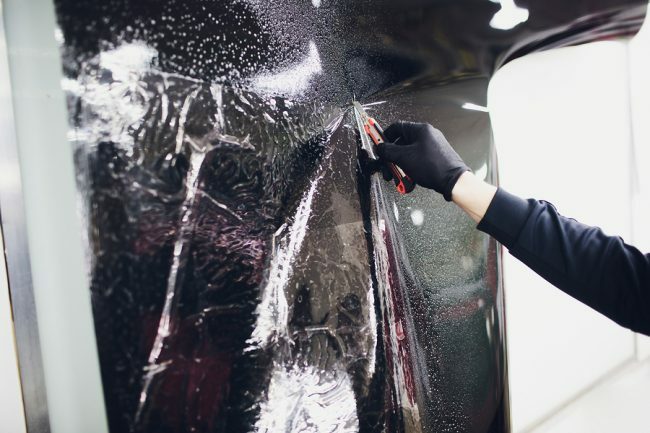 For information about our tinting services in Toledo and the surrounding areas or about the 3M Automotive Window Film that we use, be sure to contact us at Z-One today.